This is not another green smoothie. This Strawberry Banana & Pineapple Smoothie is totally loaded with good stuff to help improve health and provide a detox. And extremely yummy! Plus the pink color is perfect for the upcoming Valentine’s Day. I know! It’s February and strawberries are definitely an off-season special treat. But really, strawberries are such a fruity delight when it’s cold outside (and even when it’s warm), aren’t they? But the pineapple has to be FRESH and not from a can. With the addition of strawberries and banana, this smoothie just screams flavor! And yet, you still feel full and satisfied! 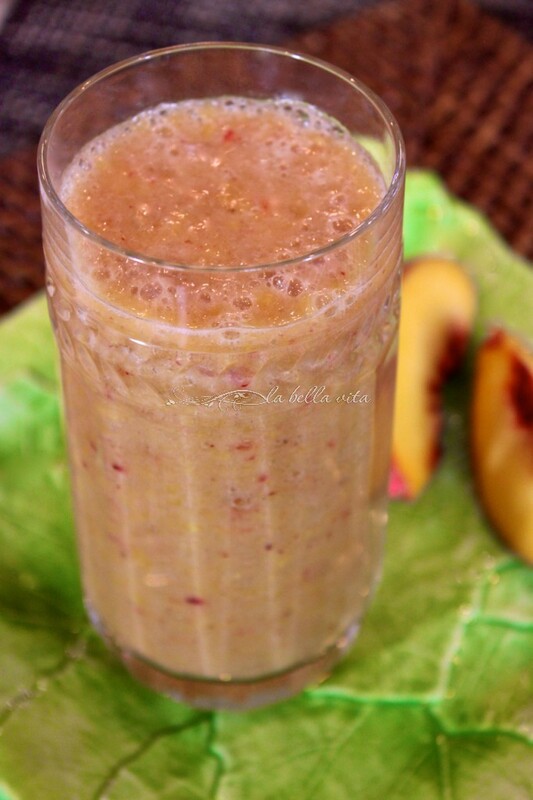 I know that this smoothie will soon become one of your favorites too! I hope that you enjoy this special Valentine’s Strawberry, Banana & Pineapple Smoothie ! A pineapple’s ripeness is revealed by the external shell and are ready to eat even if the shell is slightly green. Pineapples don’t continue to ripen after being picked, so use them upon purchase. When cutting, first cut off the crown and base. Then cut off the side and remove the little ‘eyes’. Cut in half lengthwise. Then cut each half again in half to make 4 large sections. Slice down the pointed tips of each section to remove core. Slice in half lengthwise again and then cut into chunks. If the pineapple isn’t served immediately, just cut it up and place in the refrigerator in an airtight container. Use within one week. Enjoy the full feeling that you get from this pretty pink Valentine’s Strawberry, Banana & Pineapple Smoothie ! Here are more delicious smoothies to add to your recipe box! This looks awesome! Congratulations on your weight loss, too! Congratulation on a weight loss, every pound counts. I am on that road too. 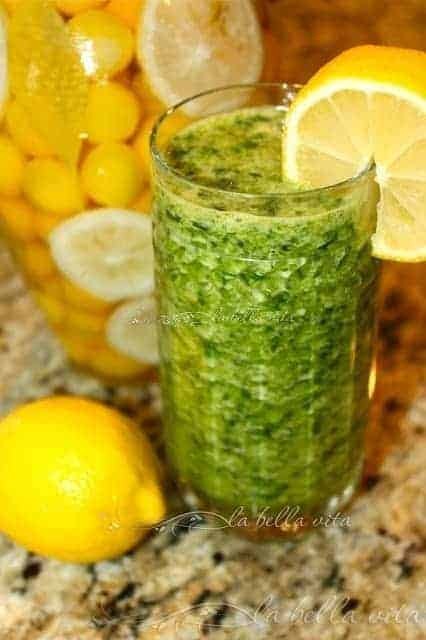 Great smoothie! Hi Roz! Hope all is well! I’ve been on a pineapple binge myself. I’ll have to keep a look out for the ch-ch-ch-chia seeds. :o) Thank you for your encouraging comment! My new camera is a Kodak Z990 Easyshare. I couldn’t afford the Canon that I wanted! Congrats on the ten-pound mark. I find WW keeps me accountable. I lost 25 pounds last year (gained 8 back in Italy) and trying to rid myself of the last 15. It’s – a journey. That smoothie? One of my favorites. So lovely – I make strawberry banana smoothies all the time, but never thought to add pineapple. Will give it a try! PS – congrats on hitting that first milestone. I don’t know how much you’d like to lose, but I’ve been doing the same for the past 8 month – nice and slow like you. Here’s to the new us! I love the idea of using coconut water in a smoothie. Will look for that in stores. Gorgeous! That smoothie looks delicious. I have to try it soon. The slow & steady wins the race. Keep the diet going. Mmmmmmm….a pink smoothie may not be quite as healthy as a green one, but I’m loving it (and it is healthier than what I would have made)! Congrats on your weight loss, Roz…I know you can do it! This is my kind of smoothie, pink and pretty and creamy. I would love one too! Looks so pinky and pretty. I’d love to share one with you too, Angie! Cheers to your good health! There’s something about green smoothies that never appealed to me. This strawberry and pineapple however, would be right up mly alley. Will try it! I know Linda, it’s like “drinking” a salad! Hope you enjoy! And Happy Valentine’s Day!